Pont-Noyelles is a village and commune in the Department of the Somme, on the east bank of the Hallue River opposite Querrieu. 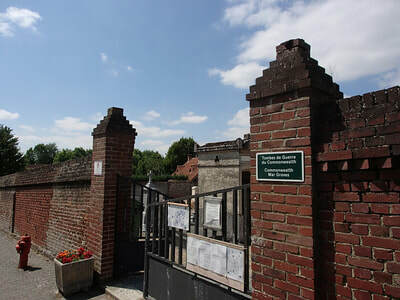 The Communal Cemetery is on the North side of the main road to Albert, within the village. 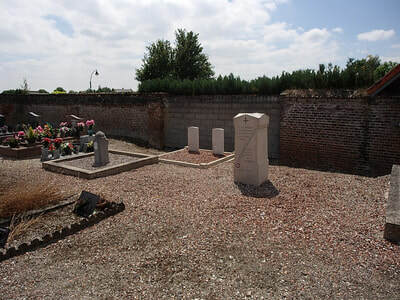 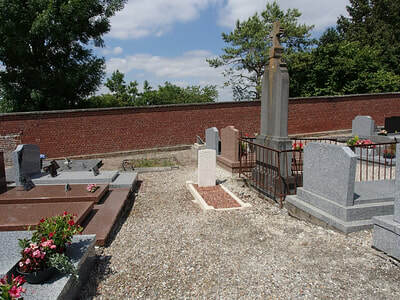 This communal cemetery contains three Commonwealth burials of the First World War, all made by the 1st Cavalry Brigade. 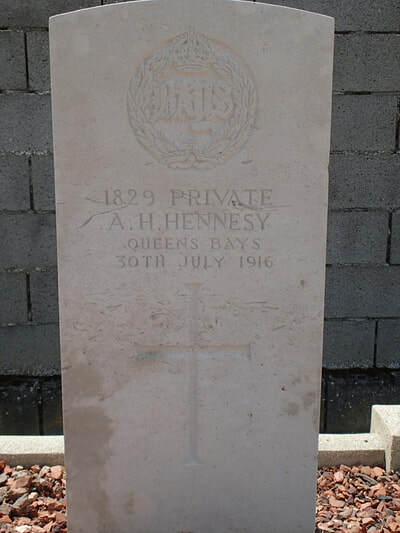 1829 Private A. H. Hennesy, "A" Sqdn. 2nd Dragoon Guards (Queen's Bays), died 30th July 1916. 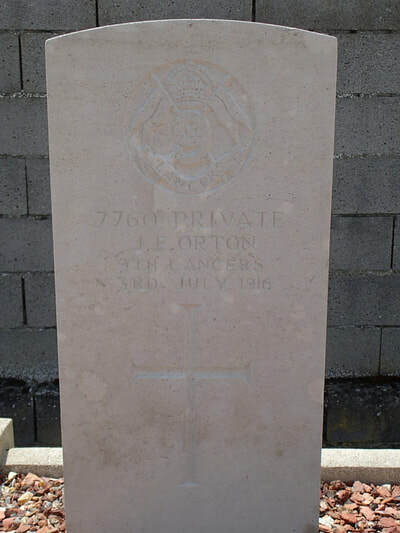 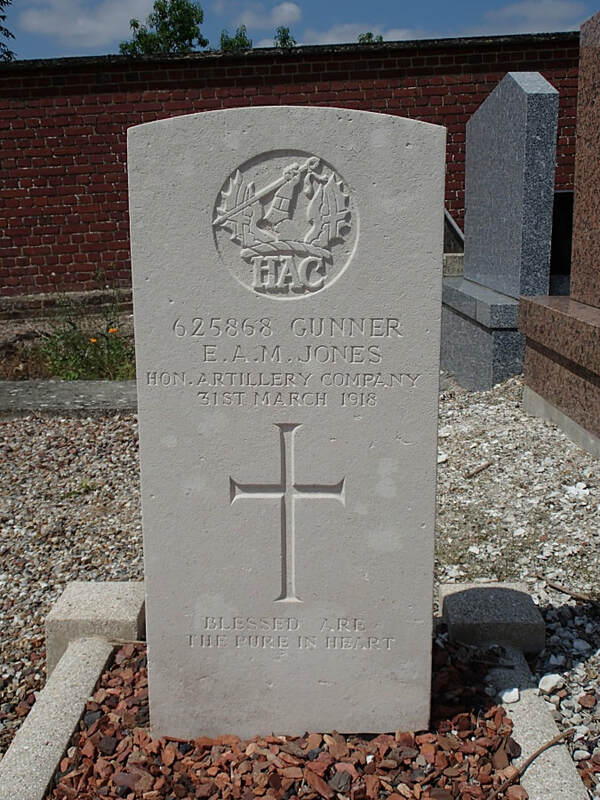 7760 Private James English Orton, 2nd Cavalry Brigade, 9th (Queen's Royal) Lancers, died 3rd July 1916, aged 27. 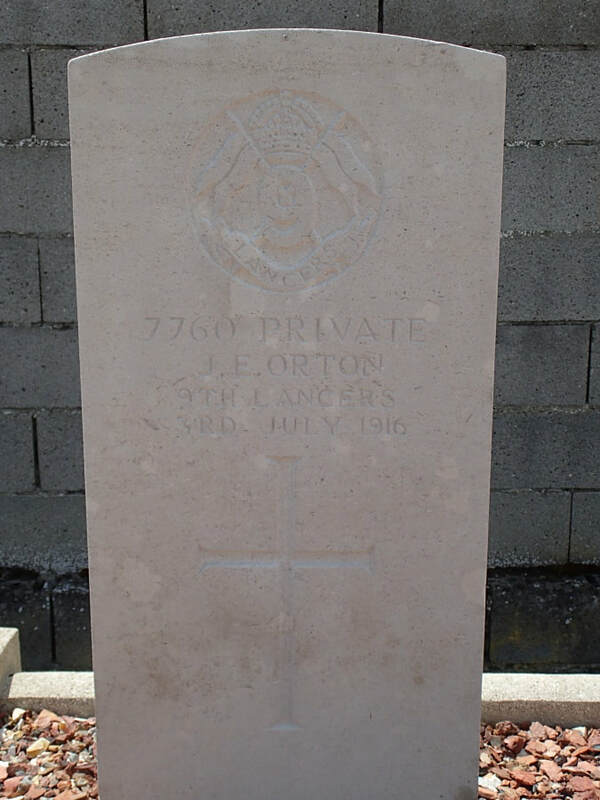 Son of Thomas and Elizabeth Orton of 18 Prospect Cottages, West Thurrock, Grays, Essex.